My family and I had the opportunity to attend the College National Finals Rodeo in Casper a couple of weeks ago. The CNFR is one of the best run rodeos I have ever attended. 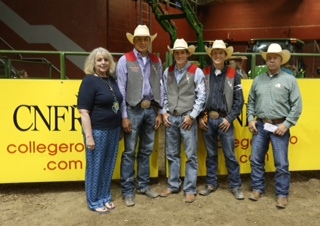 Four NWC students—one in steer wrestling, two in team roping, and one in bull riding—were selected to participate in the CNFR this year. Only the top three in each event are allowed to enter. 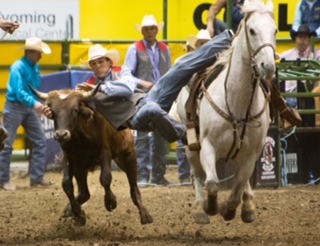 Freshman Bubba Boots of Saint Anthony, ID, finished 16th in steer wrestling. 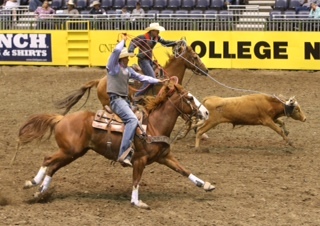 The team roping duo of sophomores Shawn Bird, Cut Bank, MT, and Lane Lahaye, Wilsall, MT, claimed 17th in the nation. 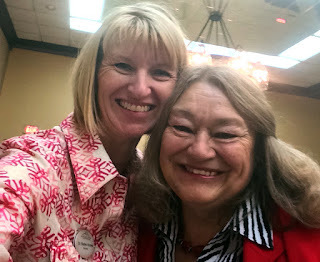 On Friday morning I attended the coaches breakfast and the VIP reception later that evening with NWC Coach and National Intercollegiate Rodeo Association Board of Directors member Del Nose.